The alluring Race Point Light Station on Cape Cod. 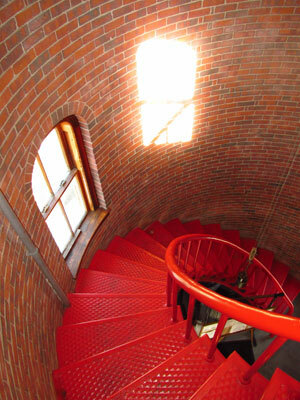 How would you like to visit the storied Race Point Light Station and have the chance to walk in the steps of the bygone lightkeepers as you tour the beautifully restored lighthouse, keeper’s house and whistle house at this historic site? If your answer is “YES,” then be sure not to miss this great upcoming opportunity during the 2015 Mariners Day on Cape Cod! 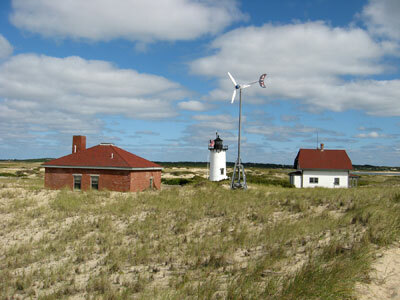 On May 17, 2015, from 9:00 am to 2:00 pm, the Cape Cod Chapter of the American Lighthouse Foundation will offer complimentary tours of Race Point Light Station, which is located two miles out over the glistening sand dunes of the Cape Cod National Seashore, near Provincetown. Wondering how you might get there? No worries – a team of volunteers from the Cape Cod Chapter will transport you to and from the lighthouse at no charge. All you have to do is sit back and enjoy every moment of what promises to be a memorable experience! What will I see? For starters, visitors will be able to climb to the top of the 40-foot cast-iron lighthouse and enjoy unparalleled views of the seascape, rolling sand dunes and the layout of the light station buildings below. While in the lantern, be sure to check out the new and fascinating light emitting diode (LED) beacon that serves mariners as an active aid to navigation. A view from atop Race Point Lighthouse. Of course, you will also want to walk through the cozy keeper’s house, which has been restored and furnished to the 1950s time period – and you will absolutely love the stunning view from the dwelling’s front porch! After touring the keeper’s house, check out the whistle house, which has also been restored and furnished. You will marvel at how the site has been transformed into quite a “Green” model too. Ask the volunteers to share with you how Race Point Light Station is incredibly environmentally friendly – it is a really cool story! Once you have toured Race Point Light Station, you may find yourself wanting to stay overnight at the site – and you can! Climb Race Point Lighthouse during Mariners Day! Since 1998, the Cape Cod Chapter of the American Lighthouse Foundation has operated a popular overnight stay program at Race Point Light Station, which attracts guests from all over the country and beyond. 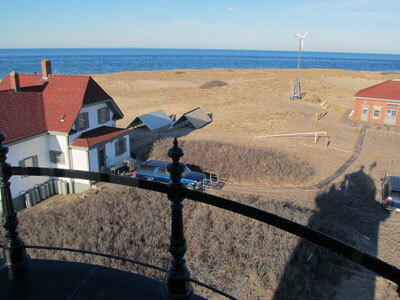 The guest rental program, which runs from May through mid-November – thanks to a dedicated corps of 70-plus volunteers, is a wonderful opportunity to bask in the natural beauty and serenity of this sparkling paradise, all the while obtaining a glimpse of what it might have been like to be a lighthouse keeper at this secluded place. Be sure to bring your camera as well, and make time to browse the gift shop inside the keeper’s house at Race Point. Purchases from the gift shop help the Cape Cod Chapter keep the light station looking its best. Volunteers will meet you at the Race Point parking lot in the Cape Cod National Seashore (just beyond the Airport) on May 17th from 9 am to 2 pm. For additional information, please visit www.racepointlighthouse.org or call Cape Cod Chapter volunteer Clay Beless at (774) 994-3630. See you there! 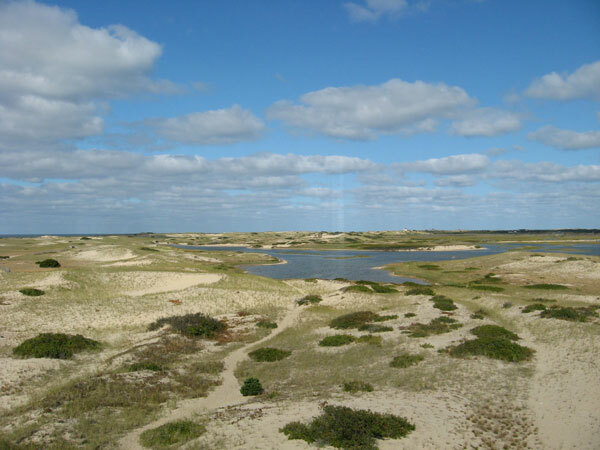 Enjoy the stunning beauty of Cape Cod National Seashore from high atop Race Point Lighthouse. I’d love to tour this lighthouse. I love lighthouses. I’m a senior so I have limited funds. I just look at pictures of lighthouses.